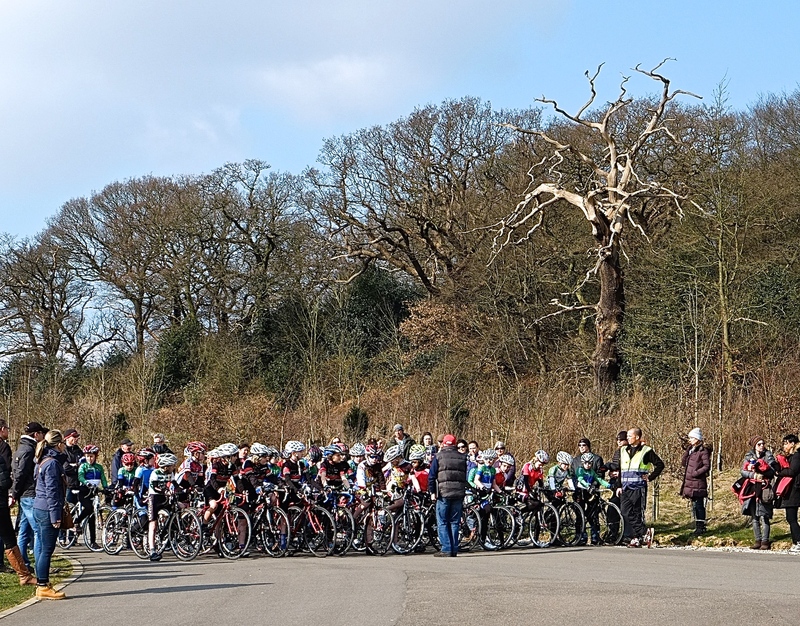 Now the transition from Winter cyclocross to road racing has not been without its trials over the last couple of months and the adjustment (plus moving up to the under 12’s class) has had its frustrating moments. Mostly top five results and a few podium places are pretty good at this stage of the season and maybe he just needs to listen to his coach Nicola Juniper who says he’s doing just fine. 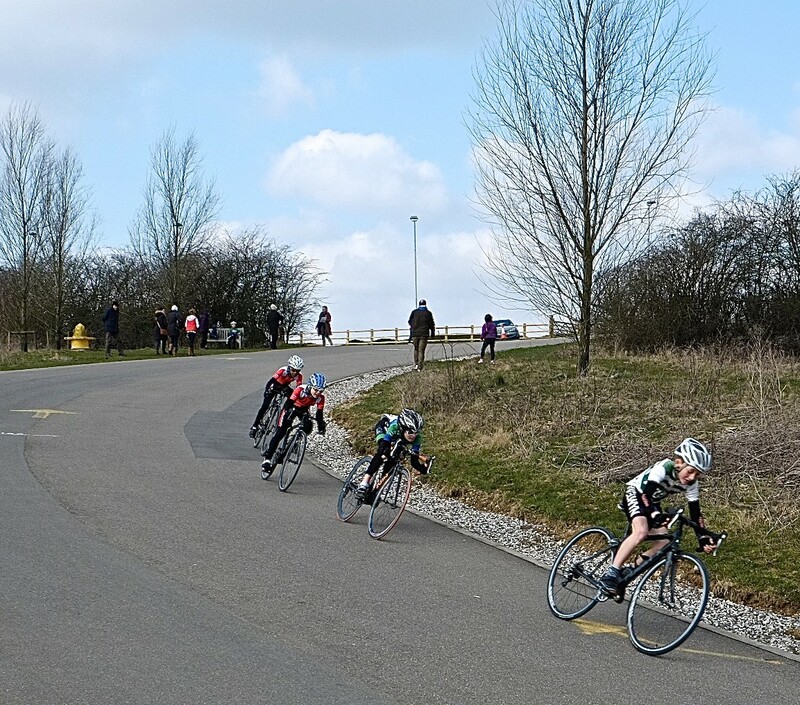 Well now it was the finale of the three race series organised by Lee Valley Youth Cycling Club and with him taking a third and a fourth placing previously, he needed a top three finish to take third overall. 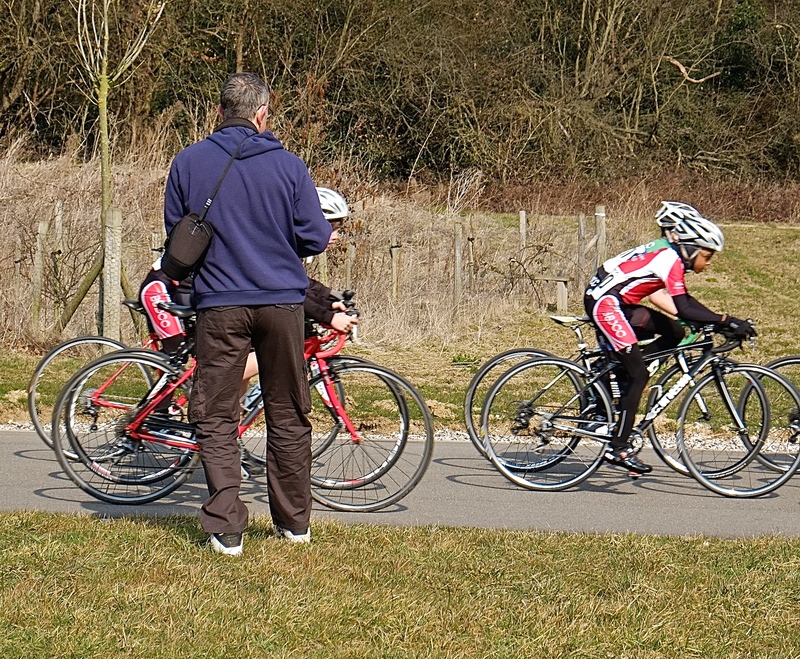 On the day we wondered if he could push on with the stronger riders, especially as the field had approximately 40 racers and being on antibiotics from the stitches in his shin inherited at Milton Keynes. From the drop CJ made his way to the lead group and on the first hill climb he looked comfortable, but soon an attack was made by Joe Kiely (Welwyn Wheelers) which was quickly covered by Luke Prenelle (LVYCC). 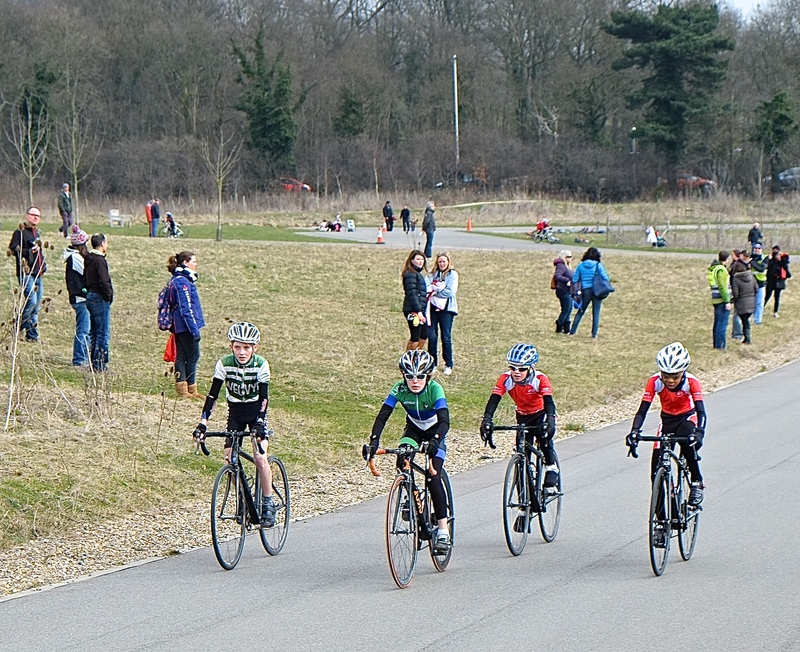 On the descent there was now a four boy break including CJ and his team mate Noah Hobbs (Barking & Dagenham CC). Over the next few laps the group maintained their lead even when they at times let up knowing that the last lap would shake out the podium places. After the bell and from the descent again Kiely pushed the pace as they headed for the final climb and this time it was taken at race pace. Now onto the alpine climb leading to the right hander going to the finish CJ moved into 2nd place behind Prenelle but was pushing a heavy gear and was quickly overtaken by his team mate who went on to take the sprint. CJ made a quick glance over his shoulder to ensure Kiely could not get to him and rolled over the line taking third overall in the Series.